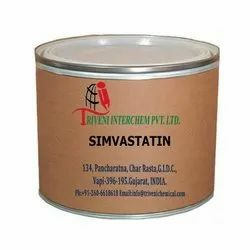 We are a leading Manufacturer of rosuvastatin and simvastatin from Vapi, India. Rosuvastatin (287714-41-4) is beige powder. it is use in Anti-cholesterol Industry.Rosuvastatin (287714-41-4) is beige powder. it is use in Anti-cholesterol Industry. Simvastatin (79902-63-9) is white solid. it is use in Anti-cholesterol Industry.Simvastatin (79902-63-9) is white solid. it is use in Anti-cholesterol Industry. Looking for Anti-Cholesterol API ?